Packed with premium technology, RØDE’s all-new AI-1 single channel audio interface offers studio quality at an accessible price. 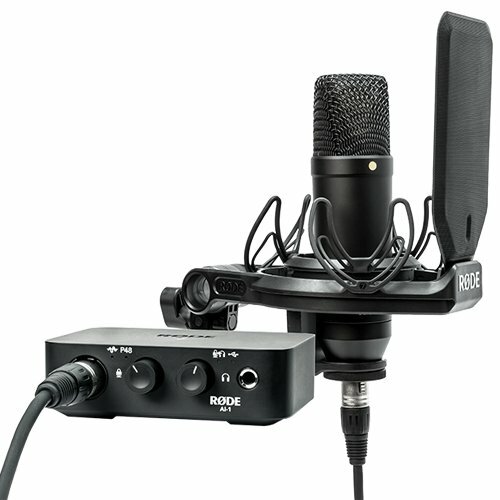 Available as a complete kit with the legendary RØDE NT1 large diaphragm condenser microphone, accessories and cables, creativity is simply a click away. The AI-1 is the best quality-for-price single-channel interface available, bar none. It’s also incredibly easy to use, thanks to thoughtful design, Australian Made quality - it is the perfect companion to any of RØDE Microphones. The AI-1 allows zero-latency playback by enabling the direct monitoring feature and playback via headphones/speakers with the high quality discrete headphone amplifier. To ensure the AI-1 is truly versatile it features 48V Phantom Power and is class compliant - so no need to install any drivers.